Your FICO score is a number that represents your creditworthiness. One of the most widely accepted credit scores, this number comes from an algorithm developed by Fair, Isaac and Company in the 1950. FICO debuted as a general-purpose score in 1989. 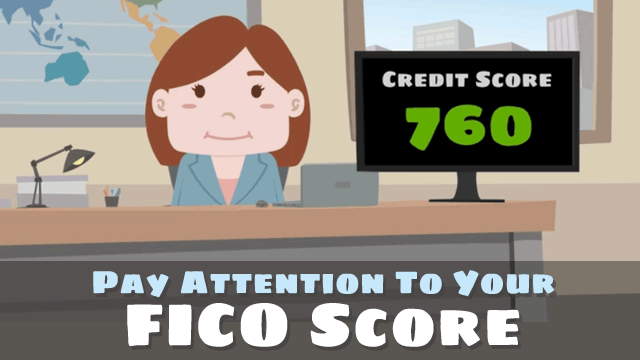 ​Your FICO score is a number that represents your creditworthiness. One of the most widely accepted credit scores, this number comes from an algorithm that was developed by Fair, Isaac and Company (now called FICO). FICO is a data analytics company which uses consumer credit files collected from different credit bureaus to compute a credit score. FICO obtains credit reports from three major credit bureaus: Equifax, Experian and TransUnion. The score is derived by applying data from credit reports to a formula. Although the exact formula used by FICO is confidential, we know the different components to it; the amount of your overall debt, your history of making payments on time, the length of your credit history, the number of times your credit has been pulled, and the types of credit used. Your FICO score is one of the credit scores that may be seen by lenders in order to determine how likely you are to make timely payments on your mortgage, therefore it’s important to know how low or high it is. The higher the score, the better your chances are of getting a lower interest rate on your mortgage.